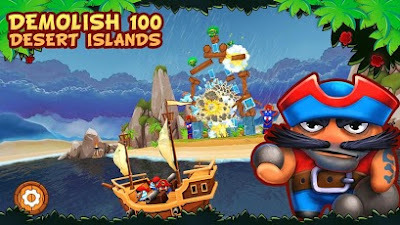 Famous pirate Joe Elusive had hidden untold wealth somewhere in Yokka-Pukka islands, inhabited by people with emerald skin and a sharp temper. But where exactly… He had forgotten. Your job, as a prospective pirate - to find and take away these treasures from brazen green Yokkas by all means. 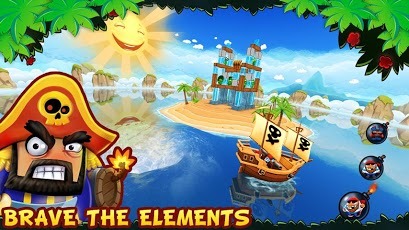 3D technology allows you approach the island from either side (360 degrees) and select the perfect point for an attack. In addition, you'll need a good eye - pitching, and the waves themselves, looks very realistic. Shoot in grinning insolent green targets with nucleus or buckshot; destroy wood, glass, steel and stone building - and refund your pirate gold. The better result - the more gold and higher ratings. 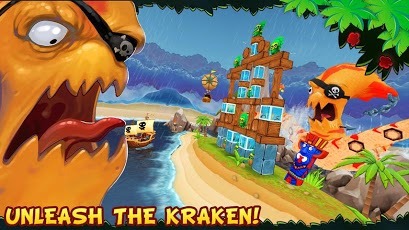 With gold you can win over even the Kraken - a huge octopus, sweeping the whole village with his mortal hugs! opens, depending on the player’s location.